Welcome to SambaPOS V3 Project! 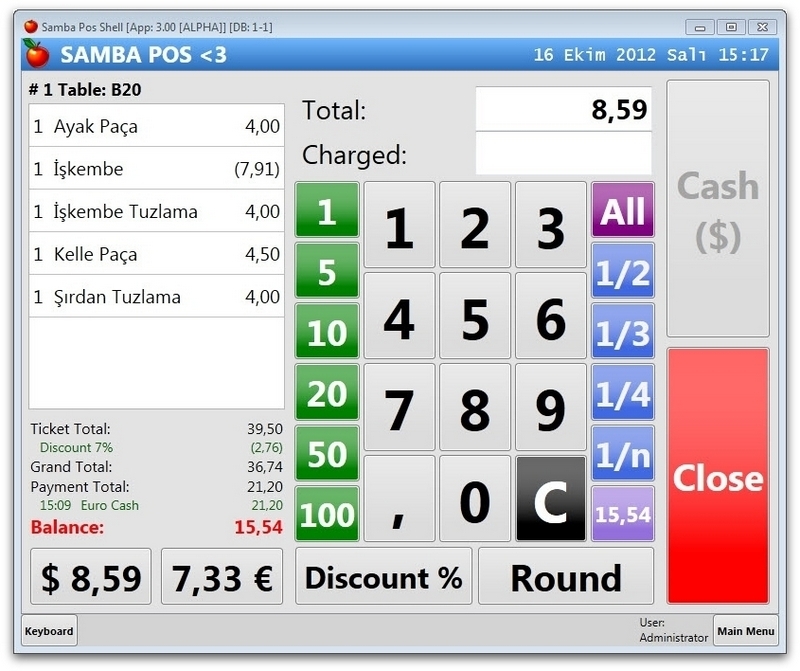 SambaPOS is an Open Source POS Application for restaurants. You can install & use it for free without any limits. SambaPOS currently supports English, Spanish, Dutch, German, Italian, Arabic, Hungarian, Turkish, Indonesian, Portuguese (Brazil), Croatian, Chinese and Croatian languages.